Funny how I'm the first one to drop a comment about one of the genre's most talked about and praised albums... Whatever. 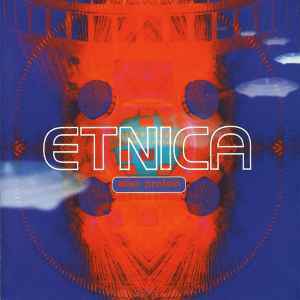 For what it may matter now, anno 2008, "Alien Protein" has Etnica taking control of the scene and calmly sitting on the throne. Spectacular melodies, constantly morphing and evolving sounds and effects, memorable and well orchestrated leads with adequate production vaults, reckless attitude shifting from one track to the next, energetic and bombastic I-don't-give-a-flying-f**k party music, but simultaneously coming across as surprisingly trippy and thought provoking for listeners ready to get submerged into an irresistible head on psychedelic experience. This IS goa trance just like I want to hear it. No cheese, no fluffyness, no nonsense samples about pseudo mystical spiritual rituals, just fantastic timeless music which is clearly not aiming to break the genre's limits, yet confidently resides within them like few other releases I own. A must own for every old schooler and a solid place to start for new comers, along with stuff like Astral Projection's debut or Total Eclipse's "Violent Relaxation"! It has been re-released a few years ago, so chances are you can get a new and sealed copy without breaking a sweat. As sometimes is with older releases, and then particularly the later your discover them, you have to work with them to get the full impact of them. I find Alien Protein such a release. I don't hear nearly the complexity here that I hear in nowadays cutting edge psytrance releases and thus need to hold my breath when putting this album on. Little by little, however, I will then be able to border the Etnica bandwagon. And what a beatiful midnineties goa voyage Etnica is then laying ahead! Overly melodic, simple, upbeat, happy and cheerful, but without any cheesy elements, Alien Protein comes across as one true, happy attitude rocker. It may sound simple, but as is with simplicity it can come across so very insisting, and when done the Etnica in their prime kind of way, never more so. Tripping on this is one hell of a nostalgic bliss taking me back to the very early goa days. And that's about the time when an album holds all I'm looking for. Highly recommended to fans of midnineties psytrance. Fav's: Screaming butterfly, Z-Plane Sunrise, Starship 101, Deep East, and Trip Tonite.